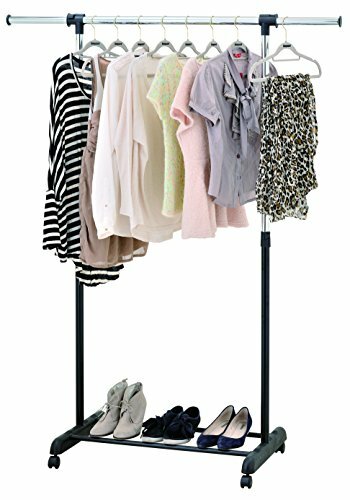 Utilize this sturdy apparel rack to organize and display clothes. 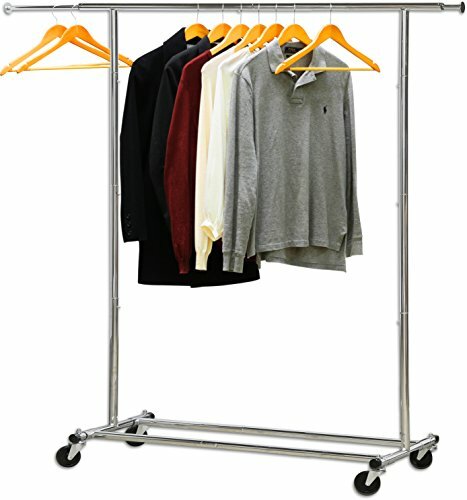 It is a great rack for retail environments as well as for home use. 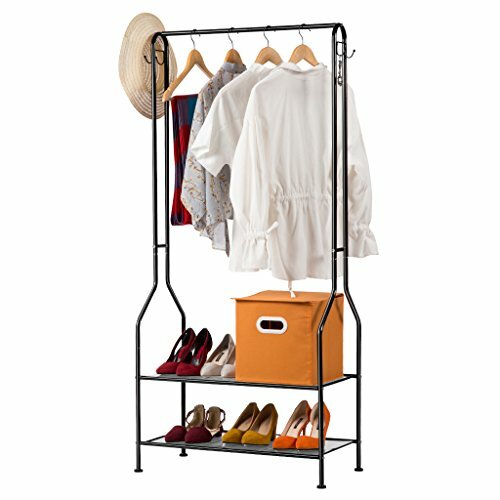 It can be used for organizing seasonal clothes, as well as for garage and estate sales. 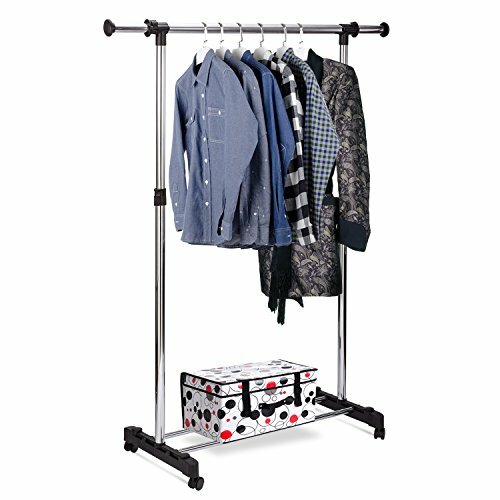 The Black and Chrome Single Rail Racks are a great solution for storing your merchandise. 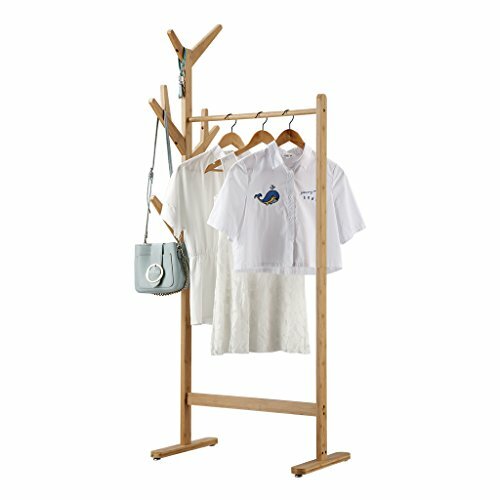 Whether you need to use them permanently or temporarily, the single-rail garment racks allow you to store a lot of inventory in one place. They're great for sidewalk sales, clearance items, and storing overstocked merchandise in warehouses. 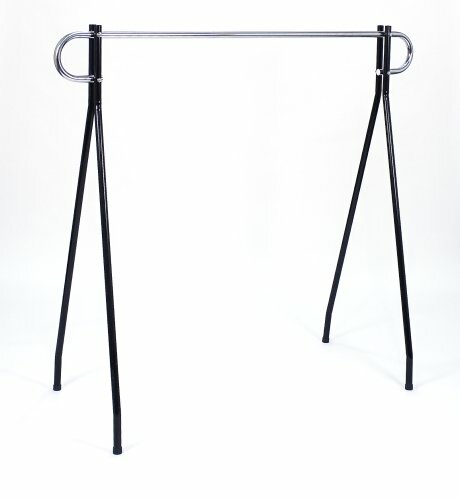 In black and chrome finish, measuring 60" wide by 60" tall, these attractive racks will look great on a showroom floor in rows, or they will fit nicely in a warehouse. 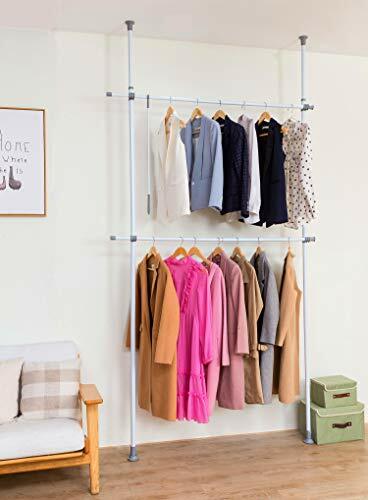 The sturdy bolt-together construction of the single rail racks makes it easy to take down and store away. Available for immediate shipping. 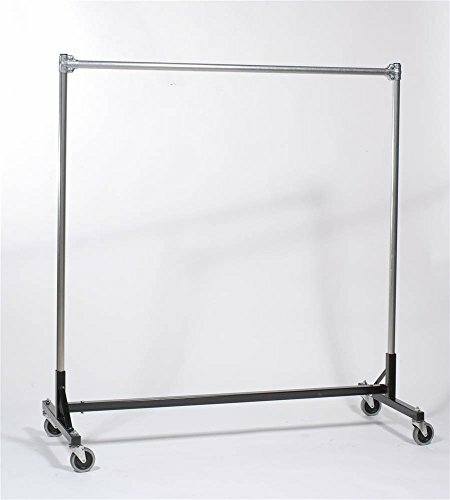 This heavy duty rack is 75 inches in length. 6 ft. uprights with one 6 ft. hangrail. 500 lbs. capacity. High quality durable, environmentally safe powder black coated finished base. 14 gauge steel base. 16 gauge upright bars and hangrail. 1 5/16 in. 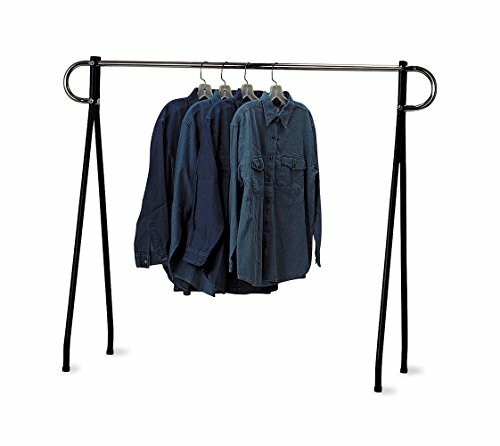 outside diameter upright bars and hang rails. Heavy duty 4 in. grey non-marking soft rubber with TP center casters. Assembly Required. 75 in. L x 23 in. W x 78 in. 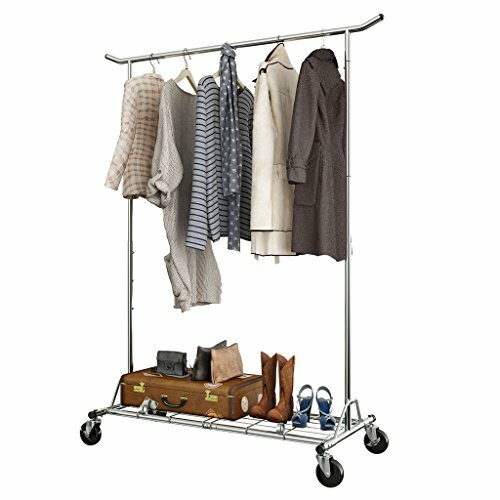 H.
Compare prices on Single Rail Garment Rack at LiveSaler.com – use promo codes and coupons for best offers and deals. We work hard to get you amazing deals and collect all avail hot offers online and represent it in one place for the customers. Now our visitors can leverage benefits of big brands and heavy discounts available for that day and for famous brands. We try to makes comparison shopping easy with Product Reviews, Merchant Ratings, Deal Alerts & Coupons. Find Deals, Compare Prices, Read Reviews & Save Money.